Here's a smoothie I've been drinking pretty much every day and I'm obsessed! 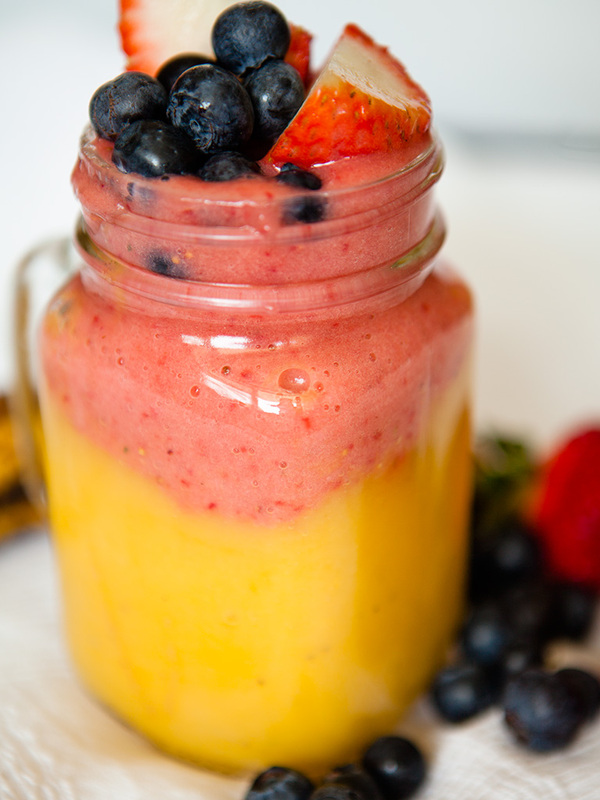 Smoothies are such a quick and tasty way to get an abundance of nutrients in one punch. They're great for folks (especially KIDS) who don't actually like eating or tasting dark leafy green veggies because when the greens are combined with all sorts of yummy fruits, you can barely taste them! I personally love eating veggies, but sometimes it's nice to just drink them instead! *Note: I love drinking MASSIVE 32 oz. smoothies so that's what the portions above are intended for. If you're looking to drink a smaller portion, like 8-12 oz., then just change the portions accordingly! Let me know if you try this yummy healthy recipe!